Where there is unity, there is strength! 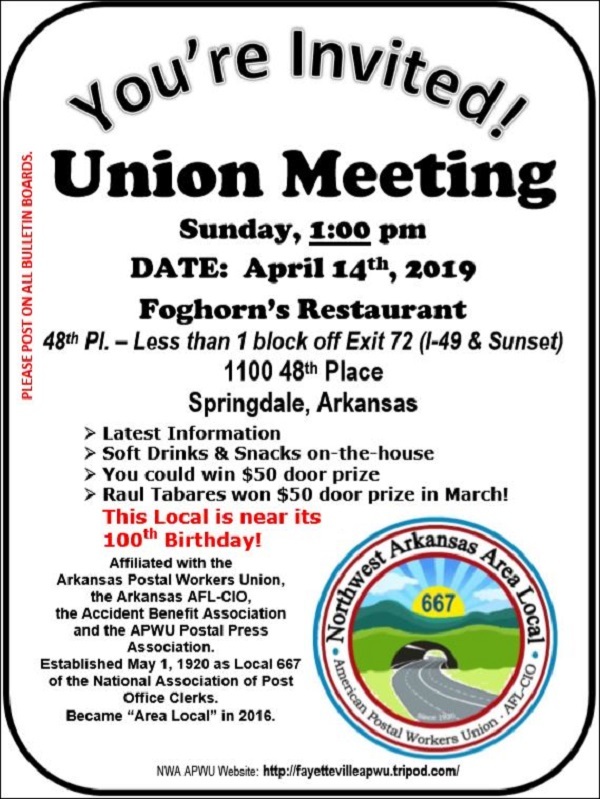 Serving and representing postal employees in the Arkansas cities of Fayetteville, Rogers, Springdale, Siloam Springs, Elkins, Huntsville, Lowell, Prairie Grove, West Fork, Avoca, Combs, Elm Springs, Goshen, Hindsville, Kingston, Pettigrew, St. Paul, Wesley and Witter. 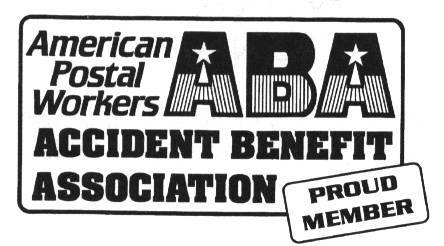 "Working for our members for nearly 100 years!" and the APWU Postal Press Association. of the National Association of Post Office Clerks.